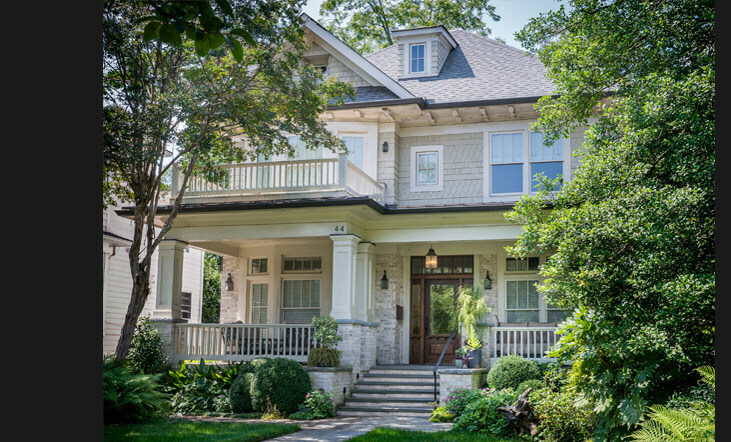 Ansley Park Historic Preservation Award recipient 2011, this new home is an example of Southern Craftsman Style architecture. Wide porches value interaction with the neighborhood and with nature. The use of building products such as solar panels and soy-based insulation help to harness the summer sun. It's classic interior circular planning maximizes the easy flow of spaces, air and light.